I visited Granada before, in 2010. On that visit, we did the usual things: the Alhambra, the Cathedral, the Albaraizin. This trip, I can’t say that I did a lot more, but it was nevertheless interesting. 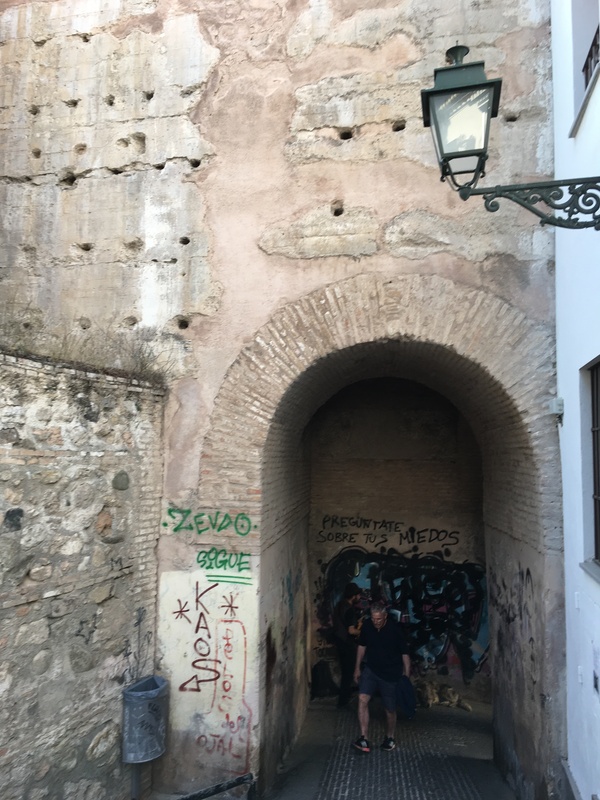 My visit to Granada was actually in two parts. The first was a day trip organized by the Insituto Malaca. We began with a brief walk through the Albaraizin, stopping at the Mirador de San Nicolas, in order to take the obligatory amazing picture. San Nicolas itself is an interesting church, as it is definitely built over an old mosque. It was one of the first churches built after the conquest of the city in 1492, but is currently closed ad undergoing reforms. 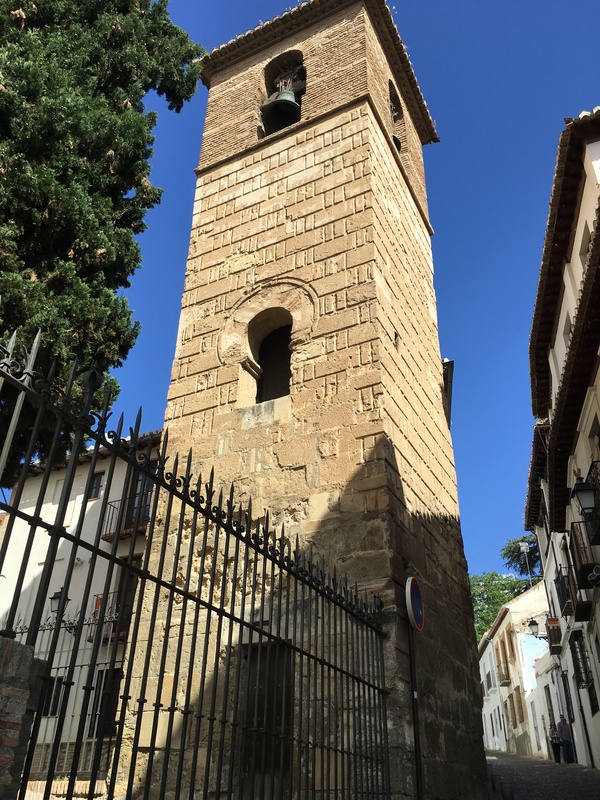 The bell tower is very clearly a minaret, and not the only one in the Albaraizin. We then ran quickly down the hill to the cathedral, but briefly. The cathedral itself is a sixteenth century monstrosity, built over the site of the city’s congregational mosque. 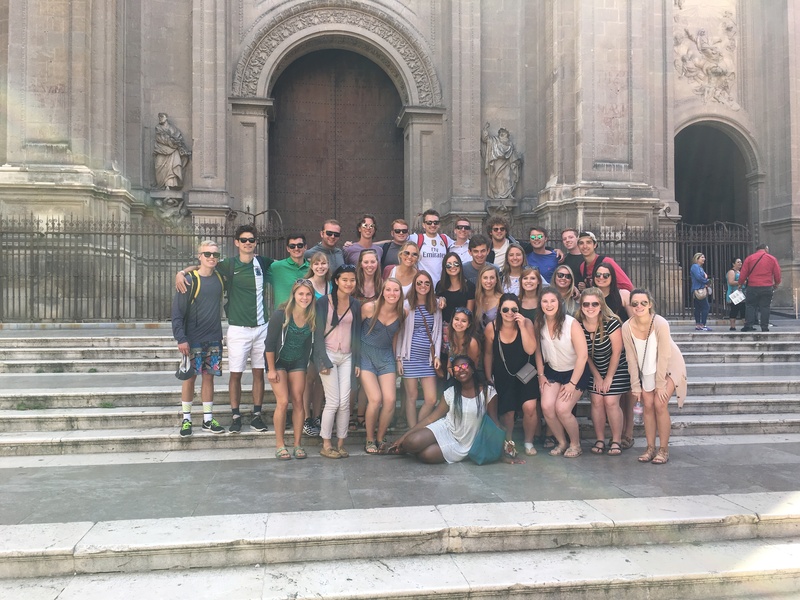 Much of the work was commissioned and overseen by Charles V. Sadly, there was no time to take the students inside, just to pose for a couple of pictures. 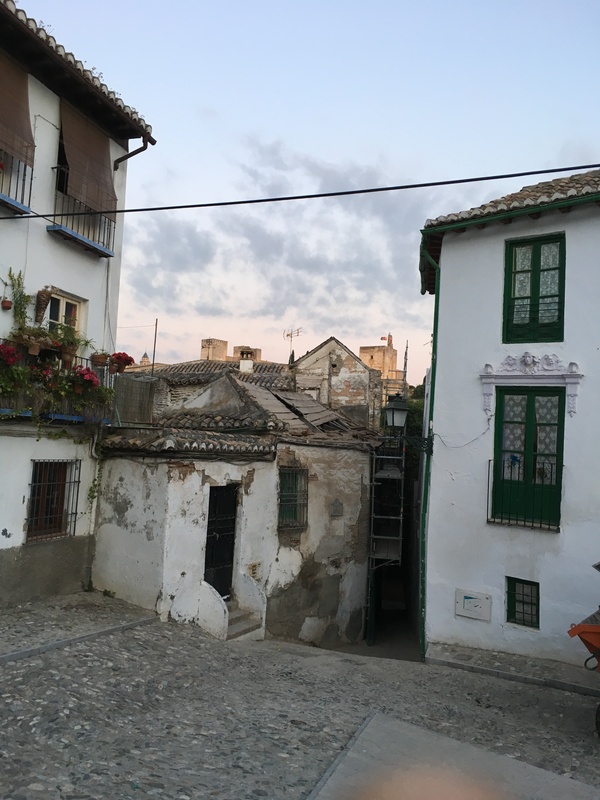 After an interesting bus ride through the old city, we arrived at our appointed restaurant in the Sacramonte, Cuevas de ?. The restaurant, owned and run by a Gypsy family of Flamenco dancers, was recently made famous by a visit from the Obama family, a fact they were eager to share. After a good but unremarkable lunch in the dining cave, we moved next door to another cave for a short but impressive Flamenco show. 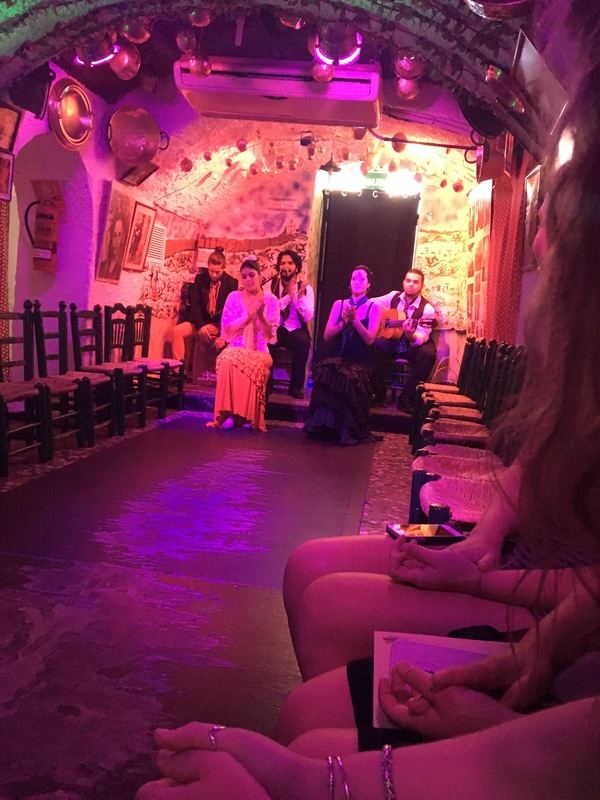 I have studiously avoided Flamenco shows, as the overwhelming majority are over-priced tourist traps, but this was a great experience. The dancers were professionals, and the setting, in the Sacromonte felt appropriate. Granada is the home to Flamenco, after all. 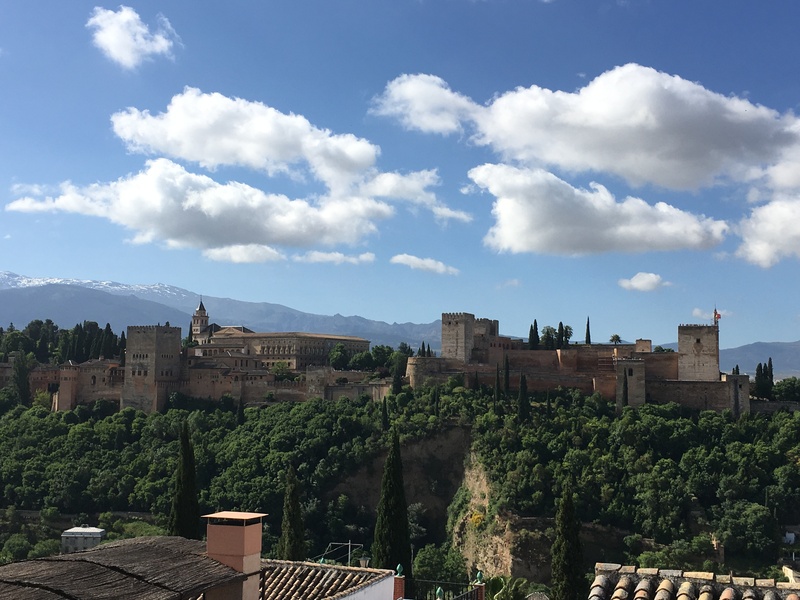 We were next whisked off to a guided tour of the Alhambra, which was, on balance, not quite as good as the unguided tour on my first visit to the castle. But it merits its own post, which I will do shortly. 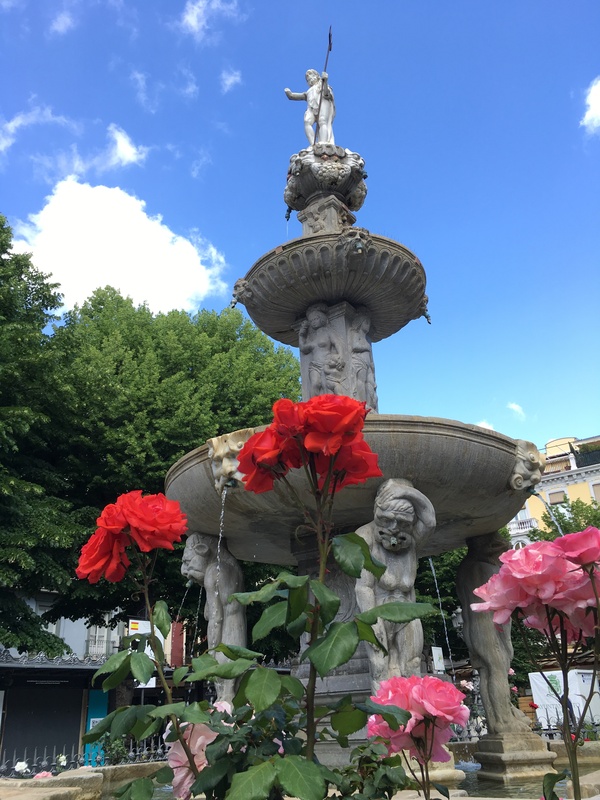 The second part of my Granada experience came a couple of days later, when I returned to visit my friend Mayte Green Mercado. Mayte was teaching in Granada for the semester, and so had a chance to get to know the city, and took me by some interesting sites. We first popped in to the Capilla Real, the side chapel of the Cathedral where Fernando and Isabella are buried. Their ornate tombs, as well as those of their daughter Juana la Loca, and her husband Philip of Burgundy, are most impressive. They were moved here during the reign of Charles V, from their original resting place in the small church within the precinct of the Alhambra. They were the last Iberian monarchs to follow the medieval pattern of choosing to be buried at the site of their southernmost conquest. We also very briefly visited the scant remains of the city madrasa, just across the street from the Cathedral. The madrasa, built by the Nasrid rulers in the fourteenth century, is today part of the University of Granada. We also had a moment to stick our heads in a fifteenth century caravansary that also still stands in the heart of the building. Sadly I was unable to photograph any of this because the places were closing up around us. We went back un through the Albaraicin, which is clearly the city’s most attractive neighborhood, once again the Mirador of San Nicolas. However, this time Mayte pointed out something just as interesting as the famous views of the Alhambra: the city’s new mosque. The new mosque was recently opened, after a campaign of more than twenty years to convince the city government and the neighborhood to accept it, and the Muslim community. Surprisingly, the Muslim community of this mosque is not made up principally of North African immigrants, but Spanish converts to Islam. The Spanish Muslim community began to grow in the 1960s, when a handful of people converted (the 1960s were that sort of time). But since then the community has grown, slowly but steadily. 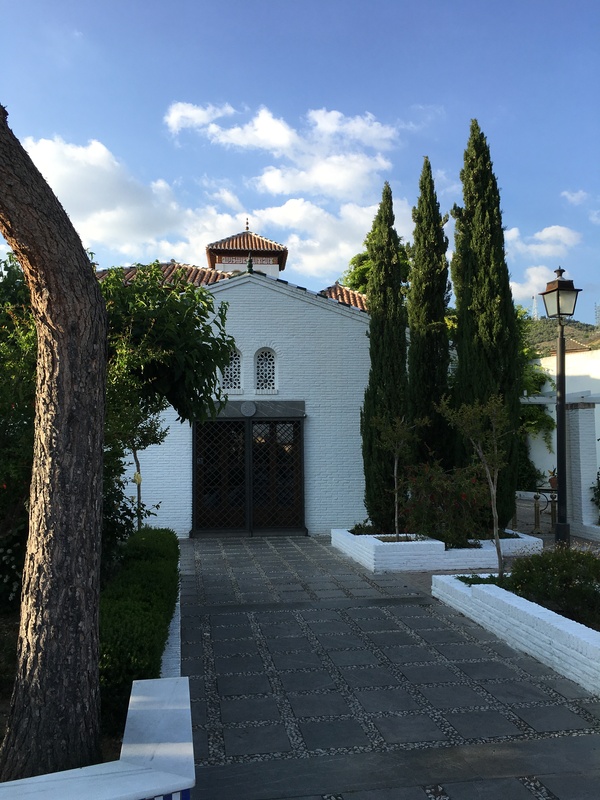 The mosque was largely financed by Emirate donations, but it appears that the community have gone out of their way to make sure it fits in its Andalucian context. I had no clue something like this existed. 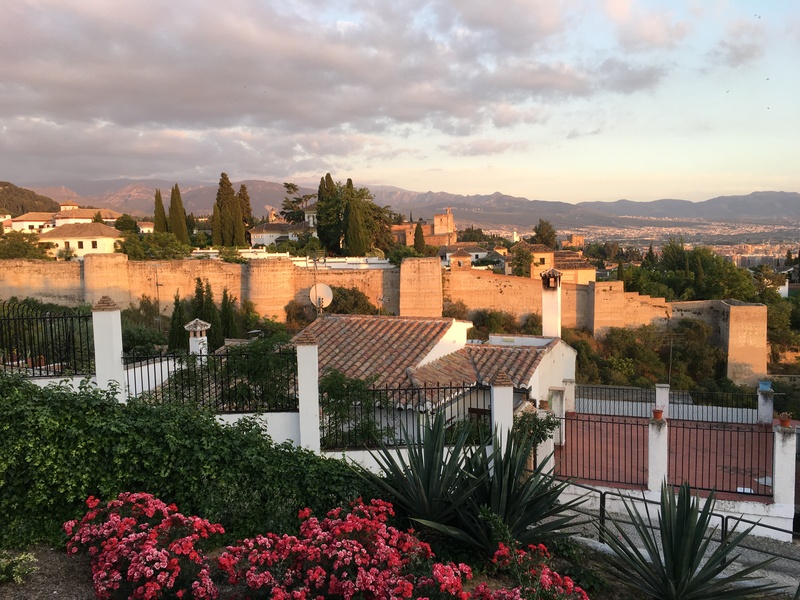 Finally, we ducked through one of the old gates… and visited another spot above the Albaraicin, where the Taifa era city walls (twelfth century) are visible. I was impressed at just how much medieval Granada really does survive. Thanks Mayte!